Made from high quality, non-toxic resin. 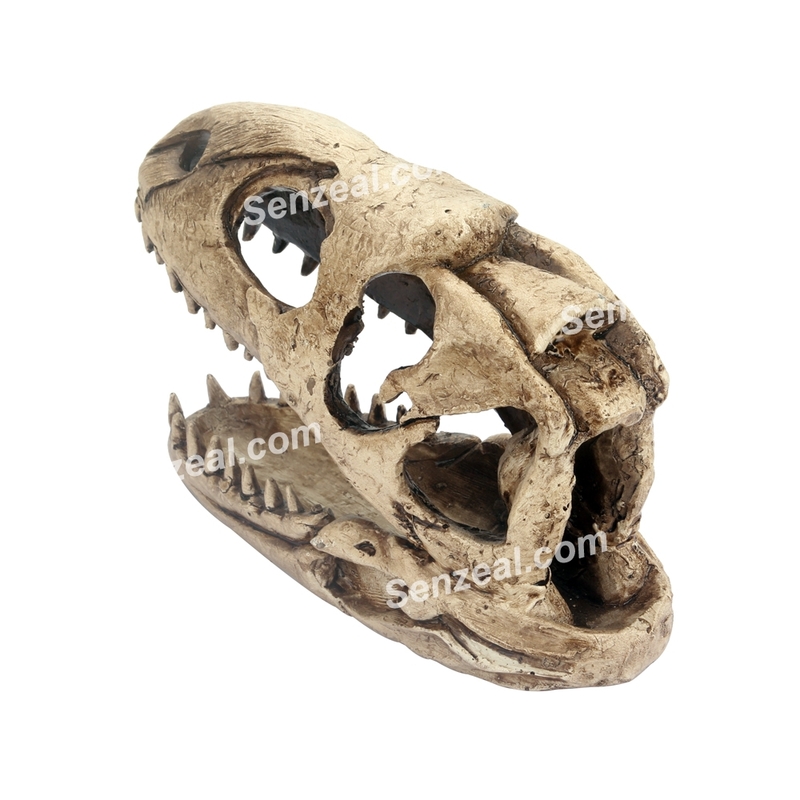 Stability and durability, not easy tip over by large reptiles.Not only be used as reptiles ,fish and little crawlers hide, but also be placed in aquarium landscaping,decoration of your pet box or home. -Material:Made of resin, and it's non-toxicity and harmlessness to pets' health. Please pay attention to the size, make sure it fit your pet and your pet box or aquariums before order placed. 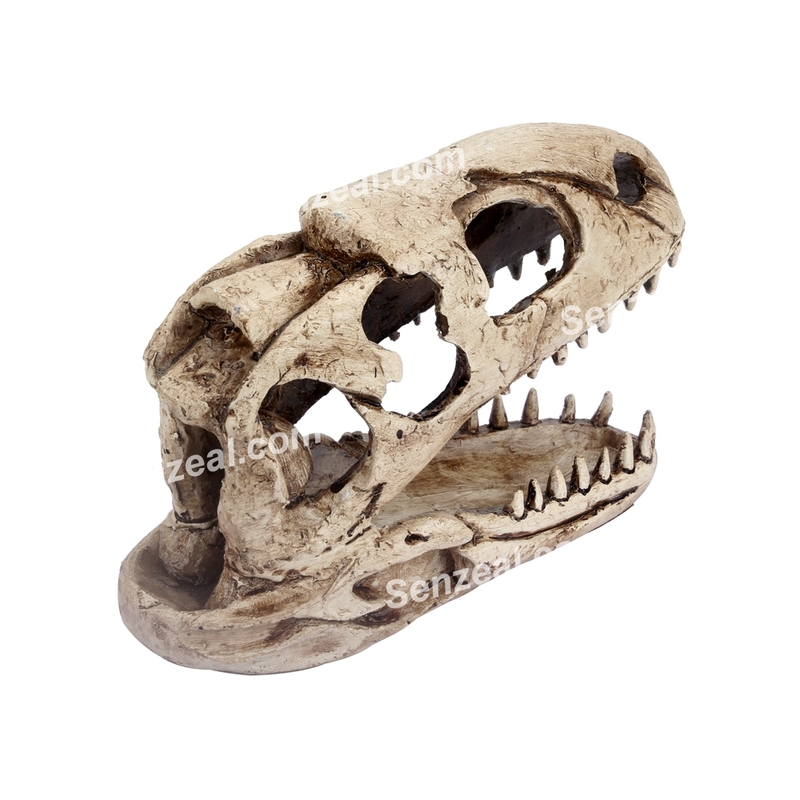 -A great way to add security living space, climbing areas and hideaway to any aquariums,vivarium,pet box or on land. 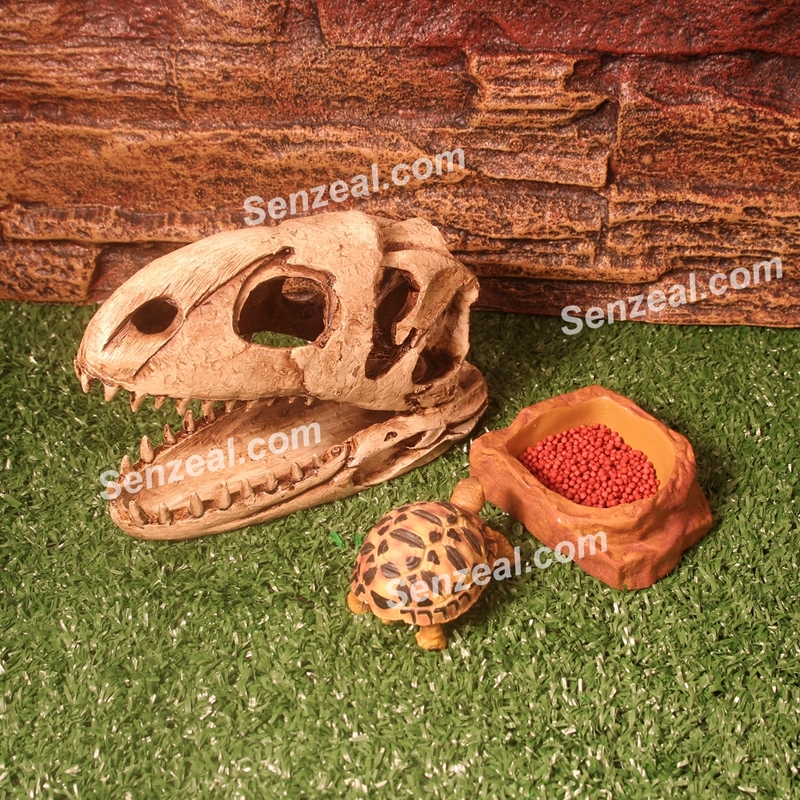 -Provide a perfect hideouts.Create a natural living environment for small reptiles and fish.Your crawlers and their children can play happily in it. -Reptiles and Fish be easily develop stress if they do not live in a safe hideout and resting area, which may affect their activity and appetite.So we recommend that provide them a natural environment to run around, resting or bask on. 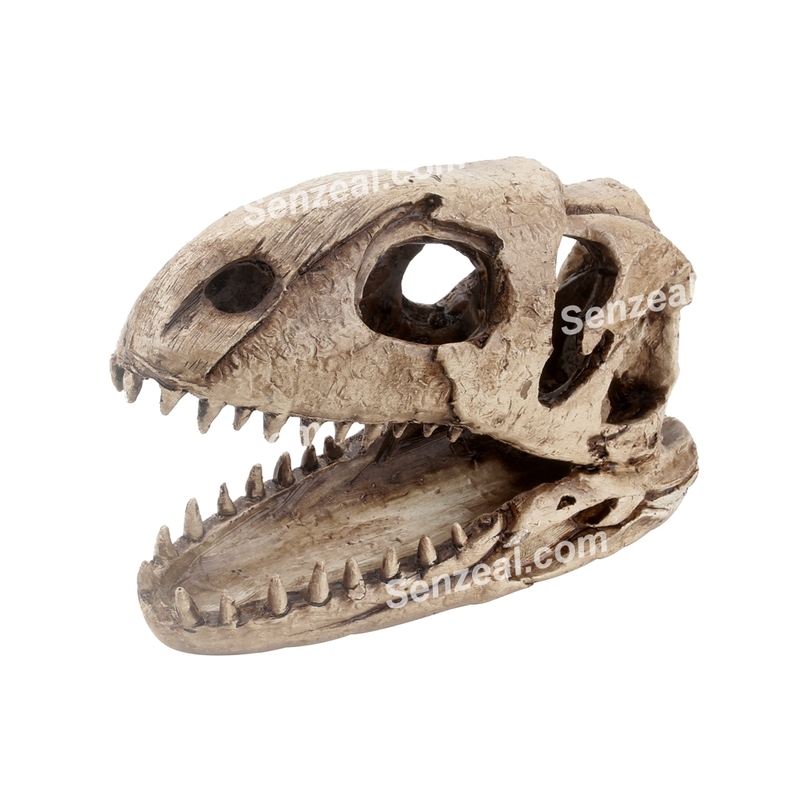 -The Dinosaur Skull also can be used as home decoration,or landscape of your fish tank.Add natural scenery. 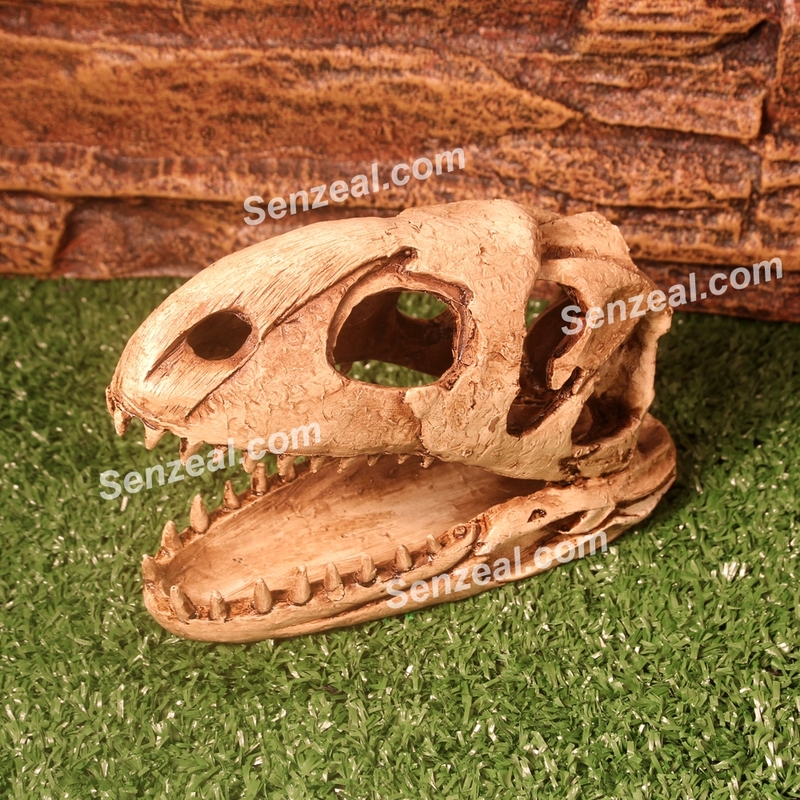 -Resin Skull make a interesting microlandscape for your aquarium, provide natural environment feeling.